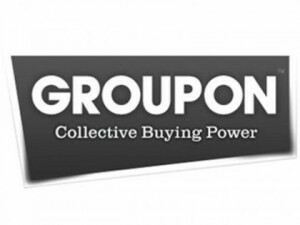 Tagged are groupons good for restaurants, are groupons good marketing for restaurants, Customer Response to Restaurant Daily Deals, Daily Deal, Dholakia, groupon, Kimes, marketing, profitable, Restaurant, Sheryl E. Kimes, Utpal M. Dholakia The “daily deal” wave took the restaurant industry by storm. It became prominent so quickly that most of the information restaurant owners had to rely on when deciding to offer these deals was at best anecdotal. The companies were quick to sell restaurant owners on the benefits of the program and even used other owners and managers as references. There were a great number of unknowns about the program, but the sales pitch seemed to make sense. Restaurateurs took a leap of faith in hopes of reaching a new customer base and building repeat guests. A recent study titled “Customer Response to Restaurant Daily Deals,” conducted by Sheryl E. Kimes and Utpal M. Dholakia finally gives restaurants the information they need to make an informed decision about offering these sorts of deals. I highly recommend any restaurant owner who is considering offering one of these deals read this study in its entirety. Today, I wanted to offer some highlights from the findings they disclosed. I have voiced my opinion on the daily deal phenomenon in a previous post. This post is intended to simply highlight some of the most important findings of this study. I will not contend that this study is perfect in any way. There are two inherent flaws within the study. The first is the relatively small and homogenous sampling used. The study only covered 931 respondents and only those who chose to take an online survey. This does not negate the findings of the study. While it is the largest restaurant specific study of its kind, it still cannot be taken as definitive. The second flaw is the reliance on self-reporting. The responses given were not independently verified. Self-reported responses will often contain a margin of error because the respondents want to give the “right” answer. This should be factored into the numbers. With those flaws in mind, I still feel it is the most accurate and comprehensive study of daily deal users in restaurant specific situations. 1) Only 22% of daily deals users were new customers (page 14). This is the vital piece of information that the companies offering these deals have not revealed. 44% of the respondents considered themselves “frequent customers” of the restaurant where they used the coupon, and 34% were “infrequent customers.” When considering whether to use the coupons you must recognize that twice as many will be used by people who frequently pay full price as will be used by those you are hoping to market yourself to. 2) Only 35.9% of restaurant operators would offer these deals again (Page 5). This is another very important number to keep in mind. The anecdotal reviews of operators provided by these companies do not represent the majority of experiences. Only 43.6% of operators say that the deal was profitable for them. With nearly two-thirds of owners saying they would not do it again and most saying they did not profit, the model does not seem effective for restaurants. 3) Employee satisfaction is the most important factor for success (Page 7). While this has always been assumed to be an important factor, it has been found to be the most important factor. The logic behind this is simple. If your employees are not happy to see the coupon wielding guests, the service and experience the guest receives will suffer. Unless you are able to get your staff on board with this type of promotion, you are better off not offering it to the public. Most of them do not feel as if they were treated as “second class” (Page 19). This is often uses as an excuse for the failure of these sorts of promotions (see the third point above.) The responses provided for this study do reflect this sort of negative experience. Daily deal users eat out more often than non users (Page 15-16). This does make sense. I would caution looking at this as a causal relationship. The study does not clarify whether purchasing the daily deals is a reaction or cause of their frequent dining behavior. Users spend the same as they would have without the coupon (Page 19). One of the key selling points used by these companies is that guests will spend more and try higher priced items. This was not found to be the case in this study. Users tip on the amount before discount (Page 15). This is one of the complaints servers have about these programs. The third point above demonstrates the importance of employee buy-in. I have a great deal of personal experience on this topic and receive anecdotal information from many other servers. I think this is one of the findings most likely to be biased by self-reporting. I also think the more telling follow up question would be to determine what percentage tip was perceived as the standard for good service among both groups. While users may tip before discount, it is often a lower percentage. Those who seek to value on a dinner will often have a lower perception of what constitutes an appropriate percentage for a tip. This study is worth reviewing for anyone considering offering a daily deal type promotion in their restaurant. I feel certain that as these types of promotions are study specifically in relation to restaurants, these findings will be affirmed. The daily deals concept is not wrong for all business models, but has not been proven to be wise for a majority of restaurants. Operators should analyze the findings before offering one of these types of promotions.